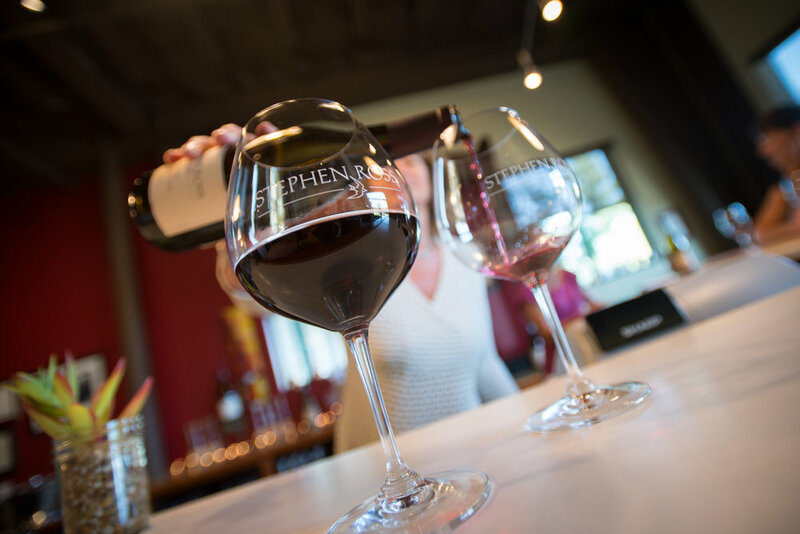 Come visit us at our urban winery in San Luis Obispo where you can taste a flight of small production, limited release Pinot Noirs and other wines mere steps from the cellar where they are created. Thanks to our friendly and knowledgeable team, patrons are transformed into friends in our intimate wine tasting room. Our wines reflect our commitment to consistently produce elegant, mind-blowing wines that demonstrate both terroir and Stephen’s winemaking skill from ultra-high premium grapes, estate and contracted. Small production for over 20 years, Stephen Ross wines have won acclaim throughout the industry. See our Event Schedule, don’ t miss something fun in 2019!